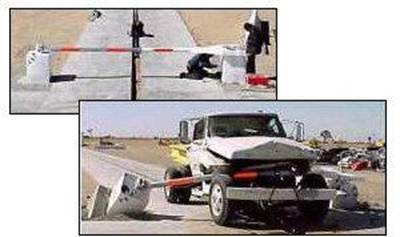 Where The World Can Find "Crash Barriers "For Less !! Available in Hydraulic or Manually operated models. 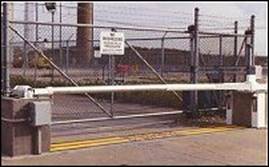 Enhanced Models are re-enforced for applications at High Security applications. The clear openings range from 10.5 to 20 feet (3200 mm to 7315 mm). Swing Gate is manually operated. Available with a Clear opening ranges from 10.5 to 24 feet. Ideal for use at locations where vertical lift is impractical. Model TT218M Manuel Or Hydraulic is configured as a swing gate for use where vertical lift is impractical. 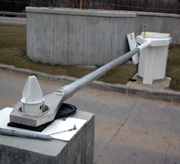 Drop Arm Crash Beam is an enhanced chain Model which has the highest crash rating of a Cable Beam Barricade. Certified by the US Department of State to stop a 15,000 pound vehicle in less than 20 feet. 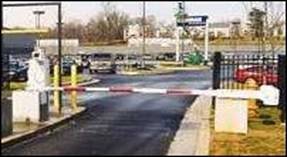 All other models are raised vertically to allow passage of authorized vehicles. These Products are used at government facilities, embassies Nuclear Power Plants and automotive sales facilities, military bases etc. Clear opening ranges from 10.5 to 24 feet (3,200 mm to 7,315 mm). NOTE: ALL CRASH BEAMS ARE 12' CENTER BEAMS AS A STANDARD LENGTH . THE COST IS BASED ON THE LENGTH AND THE RATING REQUIRED.